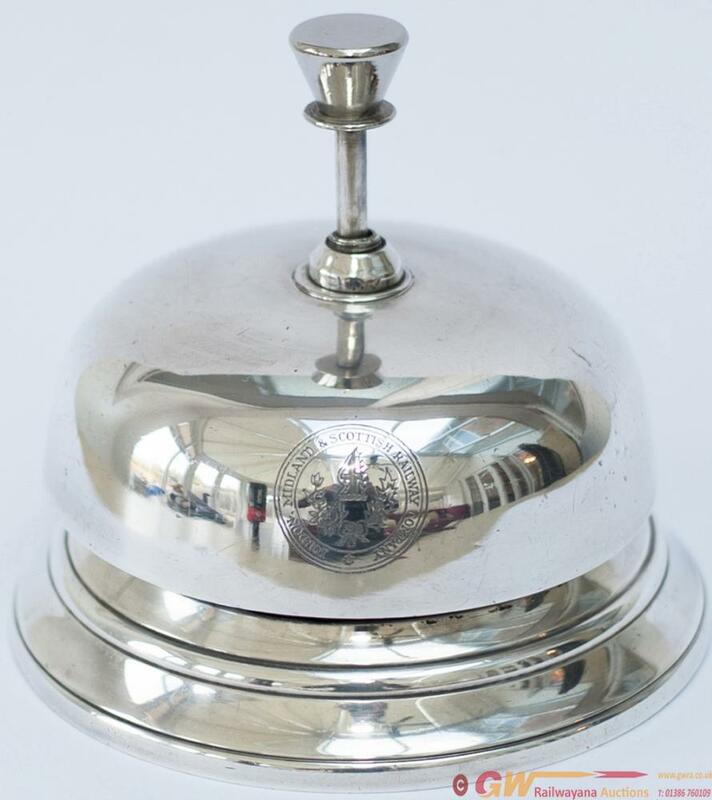 LMS Hotels silver plated reception desk bell, full London Midland & Scottish Railway Coat of Arms to front. In excellent working condition measures 4.5in diameter and 4.5in tall. An unusual item.